Dragony began as a studio project, Dragonslayer Project, by three Austrian musicians wishing to create an epic metal opera. Instead the project evolved into a band, with a less cumbersome name and a more manageable debut album, Legends. The band self-released their debut in 2011, but is now signed for larger distribution through Limb Music. Dragony: off to the Renaissance Fair. While they may have dismissed, for now, the notion of a lengthy opera, Dragony has not abandoned the characteristics. Legends stands as epic symphonic power metal in the great European tradition. Echoes of friends and peers like Edguy, Stratovarius, Kamelot, Angra, and Sonata Arctica are heard throughout. Dragony gets some help from other Austrian musicians including Katie Joanne of Siren's Cry, but also some vocal support from German Ralf Scheepers of Primal Fear on Burning Skies. 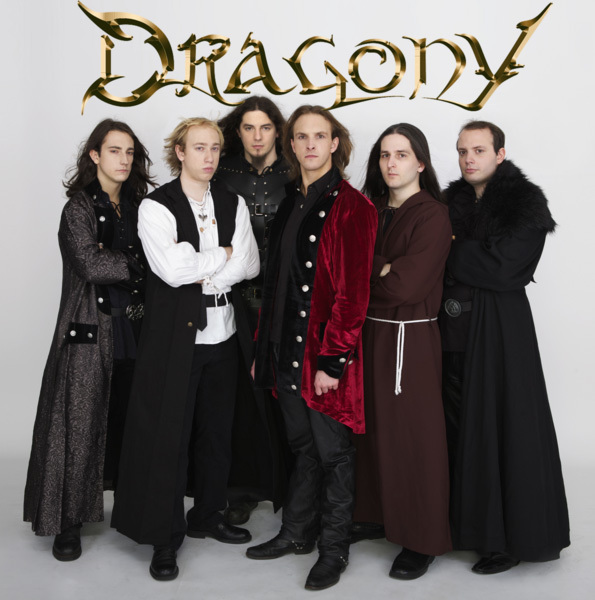 Dragony brings all the proper power metal elements to their songs: moments of romping speed and piano styled grace, large vocal arrangements, strong melodies, and burning guitar solos all wrapped up in lush symphonic synths. It's very well arranged, with each player and instrument being an equal contributor to the songs. Songs like Burning Skies and Dragonslayer can be heavier and more direct, then others, like the The Longest Night or Alcador more diverse in structure and feel. 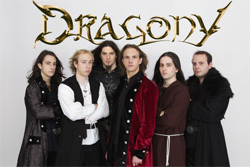 Most European power metal can be derivative, even typical, and some will say the same of Dragony. But Legends rises on the simple strengths of good song craftsmanship and good musicianship, which makes it worthy of better consideration. They have a promising future ahead. Recommended. 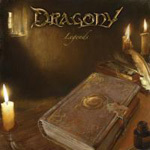 On Legends, Dragony demonstrates their skillfulness in creating solid and entertaining symphonic power metal in the grand European tradition.